This is the penultimate blog, highlighting the different sessions taking place during our seminar on the 27th June – and if you’re not already signed up for Insights and Innovations for Machine & Equipment Builders, there’s no time to waste. Our series of blogs, including this one on Robotics & Automation will give you the rundown on each of the sessions held by ourselves and our technical partners throughout the day, and how you can benefit from the expertise we have to offer. In this entry, we will discuss the session delivered by Richard Weston of Comau. In this session, Richard Weston will discuss the advantages of embracing automation to future-proof a business and ensure they’re well and truly in touch with the capabilities brought to the fore by robotics and automation. It’s all about the future and Richard plans to foster a conversation on what holds the most potential for machine and equipment builders and their automation processes. His presentation will look at the drivers and the advantages of utilising Robotics, the key to the future. 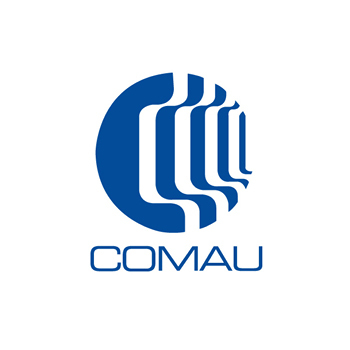 Founded in 1970 as the Consorzio Macchine Utensili in Torino, Italy, Comau is a multinational giant in industrial automation. Working alongside sectors ranging from renewable energy to automotive and railway, Comau provides technology to simplify and optimise the production process. Comau is always searching for ways to increase value for the customer, and they believe in listening and responding to their needs. As they continue to expand, Comau remains flexible to market and customer demand while expanding their reach across gaps both geographical and cultural. You can learn more by visiting their website here.